In addition to their core business of selling home appliance, heating, electrical and plumbing insurance, HomeServe also resell their insurance products so that other businesses can resell them as if they were their own. 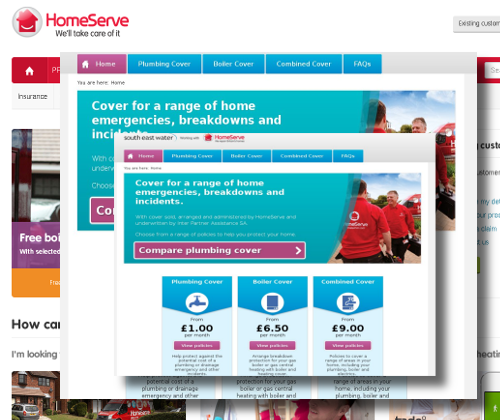 To enable this, HomeServe provide ‘white-label’ sites. These are sites that can be branded according to the colours, logos and style of the selling company. This effectively masks the fact that the product is actually been provided by HomeServe. I worked on a team implementing and maintaining these white-label sites, helping to tailor each micro-site to the clients satisfaction.